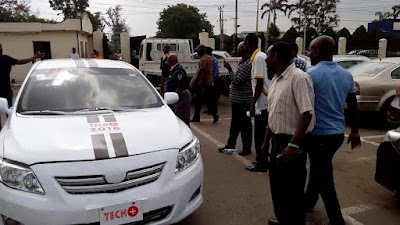 'Saw it live today, the first #driverless car in Nigeria. Did you? 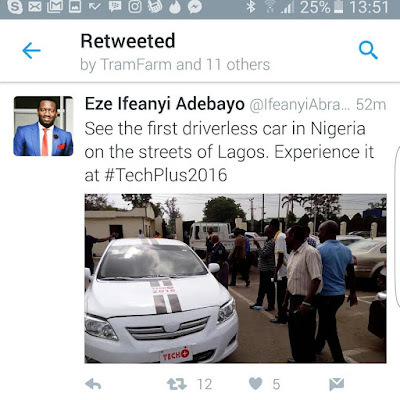 Not to worry if you didnt, its coming to #Techplus2016'.